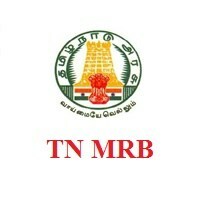 TN MRB Jobs Recruitment Notification 2019.Medical Services Recruitment Board (MRB), Tamilnadu inviting applications for the positions of Pharmacist.Interested and Eligible candidates can apply for the positions. Last Date for Submission of Application is on April 19th, 2019. Applicants must have possessed Diploma in Pharmacy from recognized university. Candidate’s age limit should be between 18 to 30 years. Check advt. for age limit and relaxation. Rs.600 for all candidates and Rs.300 for SC/ SCA/ ST/ DAP (PH) candidates. Aspirants should make the payment through online & offline mode. Go to official website mrb.tn.gov.in. Click “Notifications” find the advertisement “Notification for Pharmacist” click on the advertisement.